I like to eat fish or seafood at least once a week. We usually eat salmon or tilapia, but I really like mahi mahi too. And this glaze makes it so good. 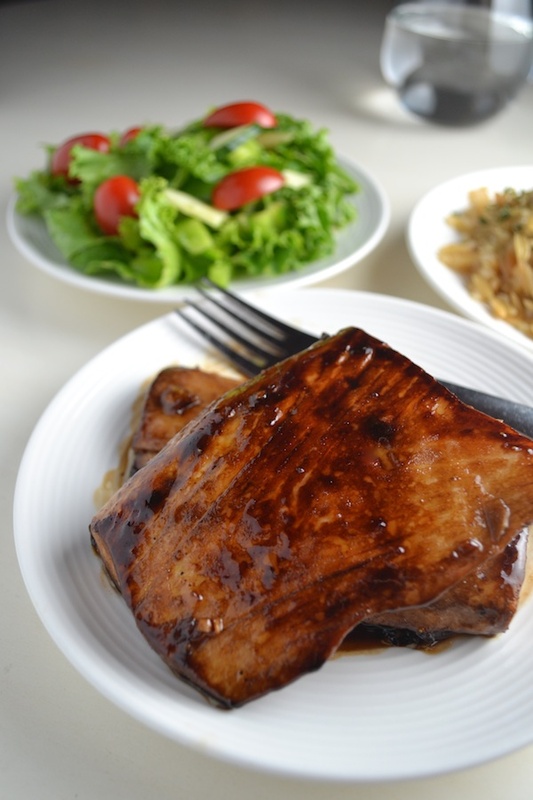 It’s different from our usual lemon and herb marinades for fish, so it adds some nice variation to our seafood meals. Fish doesn’t take very long to thaw or cook, so I like to keep frozen fish in my freezer for a quick and healthy meal. Add quinoa or rice as a side along with a vegetable or salad and it’s as easy as macaroni and cheese. Well, almost as easy…and much tastier. 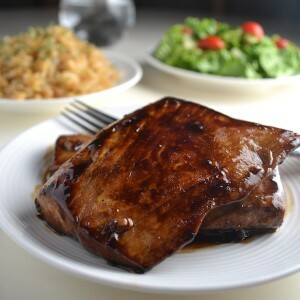 In a shallow dish, combine the honey, soy sauce, balsamic vinegar, ginger, garlic, and olive oil. Place the fillets in the dish. Cover and let marinate in the fridge for 20 minutes. Take the fillets out of the dish and place in skillet, reserve the marinade. Fry fish for 4-6 minutes on each side. Love your work Katie. Wow! Stunning images and your ideas are simple yet unique and exotic! 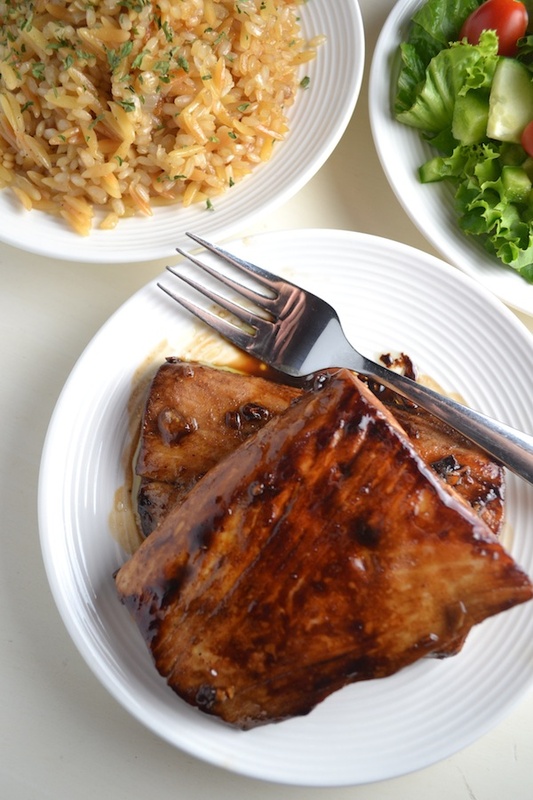 Question, have you tried this mahi mahi recipe of ginger and honey with salmon? I haven’t tried it with salmon, but I think it would be good. If you try it, let me know how you like it! Not sure about pouring reserved marinade over cooked fish… heating marinade in sauté skillet first will decrease risk of cross contamination. What is the longest you can let these marinate for? Thanks! The longer, the better. Also what was left out was that the marinade (after the fist is cooked and removed) should be left to heat up and make a reduction. You get a thicker sauce that is restaurant quality! I broiled instead of fried. Everything else was exactly the same but the fish didn’t hold the flavor very well at all.. Wasn’t impressed. I was actually very disappointed. Fixed this tonight. Every one loved it.